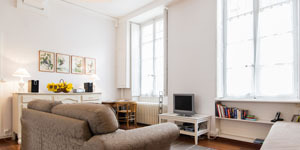 I have been resident in Dijon for more than 20 years and as owner, I’m happy to offer these 3 holiday apartments. In each of these properties I will greet you with a warm and personal welcome, taking the time to show you how everything operates and answer any questions you may have. 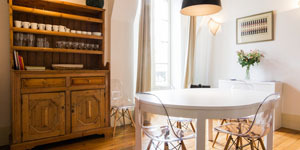 Each of these apartments are located in beautiful townhouses in the historical centre of Dijon. They are tastefully renovated and decorated throughout with very high standards of equipment. 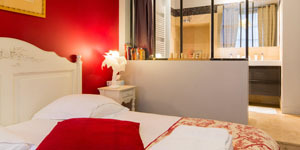 Only 5 minutes walking distance apart, they comfortably accommodate up to 6 guests. For a minimum of a 2 night stay, you’ll feel right at home whether it’s for a romantic weekend, sight seeing with family or friends or away on business. I hope to see you very soon in Les Apparts.